We pride ourselves on creating the best experience from start to finish for each and every client that comes into our lives. We strive to maintain the beautiful & authentic images at the highest of quality that is expected. To achieve this, the experience must be enjoyable, comfortable, and loved by each client. We do not like to toot our own horn, so here are some clients who enjoyed their experiences so much that they will toot it for us! T&K are, hands down, the most amazing photography duo in the Knoxville area. My fiancé and I have had two different sessions with them, and they are shooting our wedding in September! Each time we have met with them, they have been so warm and welcoming, and it honestly feels like we're old friends. My fiancé does not enjoy taking pictures at all, but every time we have left a session, he talks all night about the fun he had with both Tyler and Kendall. Aside from the fact that they are so friendly and accommodating, both Tyler and a Kendall have such strong talent and produce consistent, high quality, beautiful photos. I am so thankful to have found such a unique photographer for our engagement sessions and wedding day, and if my fiancé and I were still Knoxville residents, we would be clients for life. Thank you, T&K, for everything you do! When our daughter was 4 months old in 2015, we got a hold of Tyler and Kendall. We were so pleased with their patience on a cold fall day. Most of all, we adored their ability to capture our small family perfectly.When tragedy came knocking at our door in November/December of 2017, I reached out to Tyler and Kendall once again. Our daughter was diagnosed with a devastating diagnosis. We hadn't documented our family professionally since the shoot in 2015. Kendall got back to us and her and Tyler squeezed us in so that we could have these precious memories. They came to our home and, again, perfectly captured our family's spirit and our sweet girl's precious smile and personality. We can't thank Tyler and Kendall enough for their great product, but most of all, for their big heart. As we move forward with life, we will continue to choose T&K to document our lives. Much love! T&K did a first Anniversary shoot for my husband and I back in August and WOW were we in love with our photos! Not only were our pictures amazing, but Tyler and Kendall were seriously SO fun and awesome to work with! They had us dancing, laughing, and moving around all over the place and they captured every single emotion! It was hot and the air was sticky during our shoot and they made the absolute best and most of it and continued to be awesome throughout the afternoon (not to mention you can’t even tell we were sweating our tails off in the pictures). We will cherish those pictures forever and we recommend them to absolutely everyone! We will definitely be booking them again! Where do I even start?! T&K are an awesome team. They are both so uniquely talented! They bring an energy to your shoot that you couldn’t imagine. They recently took my boudoir photos - something I was insanely nervous about doing - and it ended up being one of the most fun things I have ever done for myself! They know how to make you feel completely comfortable in front of the camera. I couldn’t stop smiling when I got my photos back!! WOW! The pictures will knock the socks off my soon to be hubby on our wedding day when I give them to him.Thank you T&K for being so genuine & unique! You all are amazing at what you do and I cannot wait to have you all capture more moments of my life in the future! It didn't just rain on our wedding day it POURED. We had to move almost everything inside. I was terrified of our pictures showing how gloomy and gross the day was but when I looked at them they blew my wildest expectations. Our personalities, friends personalities and love for each other was captured perfectly. I can't express how thankful we are for Tyler and Kendall. We won't ever use another photographer. They're hands down the best, no competition in sight. I am thrilled with my decision to have Tyler and Kendall photograph my wedding day. The photos they took captured our day so beautifully and I could not have dreamed of them being more perfect. They both went above and beyond their roles as photographers to help in any and every way they could. When my day was off to a hectic start and I showed up an hour and a half late, they got all the details done and made sure I had nothing to worry about. I was nervous our photos would look awkward or unnatural, and they made us feel so comfortable and told us exactly what to do. They made everything so easy and stress free, and I would HIGHLY recommend T&K to photograph your wedding or any other special moment. I will never use anyone else! Tyler and Kendall are the most fun loving photographers out there. My fiancé and I felt extremely comfortable with them, and they went above and beyond to make sure we were pleased with our engagement session. They even went a step further by sending our session to us in an adorable box with a heartfelt and handwritten note. This couple is incredibly thoughtful and you can tell they truly love and enjoy capturing their clients' big moments. I cannot wait to work with them on our wedding day and beyond! We will be recommending them to anyone needing photography! By far the sweetest people I've ever met, always full of energy and joy! The pictures always turn out amazing!!! My sister and I have booked T&K for a few sessions now, and there is no one else we would recommend!! We look forward to working with these 2 again!!! Tyler and Kendall are AMAZING. Mother Nature had different plans for our anniversary destination shoot, but it was SO freaking fun! They were so accommodating throughout the whole day making sure Brandon and myself were comfortable and enjoying ourselves. They genuinely care about their clients, and their passion for photography shines through their work. They make you feel like you’ve known them forever, and we left feeling like we’d made two new friends. We cannot wait to see our pictures, and will be recommending to all our family and friends! Wow. Tyler and Kendall go above and beyond in everything they do. Not only do they produce stunning photos, but they were more than knowledgeable and helpful. From creating the perfect photography timeline to meet our needs all the way to troubleshooting the best way to upload the finished product w me, I am so thankful we chose to book w T&K. Our wedding day was rainy and chilly but they didn't stop running their butts off to make sure they captured as much as possible. We had a large wedding party and they were great at reining everyone in without being pushy. We can't thank you enough for all your hard work, and everyone has been so impressed w the resulting photos!! T&K are the absolute best photographers around! They took our family pictures (18 of us!!!) and they turned our amazing!!!! T&K also photographed our wedding and there are no words to describe how beautiful the pictures are. They are absolutely stunning and not to mention that T&K are the sweetest couple around. Kendall is so organized and made us laugh the entire time, while Tyler took the most amazing photographs. We will absolutely use them again in the future! Thank you Tyler and Kendall for ALL of our amazing pictures! We love you guys and can't wait to use you again!!! I cannot say enough about these two wonderful people and their business! Kendall and Tyler make every shoot special, no matter the occasion. They shot our engagement session and our wedding, and will forever be our go to photographers! Love love love T&K. Tyler and Kendall were incredible! They did our engagement photos, as well as, our wedding photos. They were very easy to work with and were very accessible throughout the entire process. They had a real knack for making us feel comfortable and reassured. They even helped us with our wedding timeline! Each time we met or spoke to them, we came away feeling like we had been with friends and not just some folks taking our pictures. Now for the pictures....Of course, the pictures were unbelievable. They were able to capture everything from the minor details to the raw emotion of our wedding. When we look at our photos, we feel the same emotions that we did that day. They’ll continue to do our photos for years to come. We highly recommend T&K! Booking T&K was one of the best decisions I made for my wedding! They were also some of my favorite vendors to work with. Immediately after our first meeting I knew I wanted to book them. They are extremely responsive and professional but also super fun. It was pouring rain the day of our engagement pictures, and they made everything enjoyable. During the wedding, pictures were the last thing I worried about because I knew and trusted that they would take care of everything and they did! Our pictures turned out beautiful and more than I could have dreamed. I highly, highly recommend working with them! Tyler and Kendall are AMAZING. Our wedding and engagement pictures are a dream. They had the moody feel I wanted, and literally all of our photos turned out amazing. Tyler and Kendall were SO EASY to work with throughout the process. We sat down together and made a day of timeline for my wedding day, and it helped our photography run smoothly all day. They are so fun to shoot with, as well!! They make you feel like old friends. They even sent us cute notecards with well wishes throughout the wedding planning process. Our jumpdrive with our photo files was delivered in a gorgeous gold and glass box that had our last name written in calligraphy on top. It had pretty dried flowers and a few prints inside as well. All the photos on the jump Drive were organized into different files such as "cake cutting," "bridesmaids," and "ceremony" which made it SO easy to look through our wedding pictures. I seriously cannot say enough good things about T&K Photography. You will not regret using them for your wedding day!!! I sincerely could not have imagined such a spectacular experience with a photographer. They were so professional & organized from our first meeting, which helped everything go so smoothly, and were incredibly flexible with scheduling and day-of surprises. Each set of photos was delivered timely & in the sweetest, most personalized packages. Their photographs were spectacular (everyone has gushed! ), and they have gone above & beyond at every turn. If you ever need a photographer, this couple is who you want. You will not get better quality or experience anywhere else. T&K was the first vendor I chose for my wedding. We knew we wanted it in TN, and found them even before the venue. Photography was my number one “must have”and their photos are spectacular. From our initial contact, they were extremely responsive and professional. They make such a great team and their enthusiasm and passion for what they do is evident in their attitudes and pictures. We had to postpone our wedding due to a hurricane, and they were so understanding and really helped make an extremely difficult time easier to bear. They arrived on time the day of the wedding, and they were so FUN to work with! It was a destination wedding for us, so we weren’t able to do engagement pics or meet Tyler and Kendall until the day of. From the first moment, they were so positive, made my husband and I completely at ease, and just a joy to work with. They are masters of their craft and my only regret is that we don’t live in Tennessee to be able to work with them more often! You will not regret working with this lovely couple!! My sister surprised me with a bridal session through T&K! I wasn't sure what to expect since I hadn't previously worked with them and they weren't my wedding photography team. However, I have followed this dynamic duo on social media for years now and ADORE their work so I was excited regardless! The day of my session came everything was so absolutely perfect! These two radiate personality and an aura that makes you feel comfortable. They always made sure I was comfortable, posed me, and did their best to make me laugh throughout the session! They have such a eye for scenery and editing. I adore my pictures and am so grateful for the opportunity to have worked with these two! I can’t explain how awesome Tyler and Kendall are! We chose them for our engagement + wedding photos. Working with them on our most special day made us feel so calm and comfortable. They arrived early, paid attention to every detail, and went above and beyond to make the day perfect. I loved how they coordinated with all of our other vendors to make sure everyone was on the same page. I truly feel like they are the best in the industry. They work together so well and we will continue to use them in the future for all of our big moments! T&K are amazing and love their dynamic together! They are true artists and it shows in their work. They don't just take pictures. They take your memories and create beautiful artwork that will you will cherish forever. If you are trying to make a decision about a photographer (for any occasion), just stop and book T&K! I can promise that you will have no regrets. My fiancé and I came to T&K for our engagement session. Stephen and I had some ideas for our session, but basically we put our faith and trust in them and they did not disappoint. They even met with us to help coordinate outfits! They made the entire process stress free. Honestly, I could go on for hours about how amazing this duo is. We walked away from our session with two new friends and the most beautiful pictures I could have imagined. We are truly blessed to have worked with them and look forward to many more sessions in the future! Thank you, Tyler and Kendall! They were FABULOUS! They made my boyfriend and I laugh and were so easy to work with! They were flexible, kind, creative and made taking our photos so fun! I would recommend them over and over again. I can’t thank T&K enough for our photos. They turned out better than I could imagine. From the first email conversation to the final product, we had an amazing experience with T and K! They helped us decide what kind of look and feel we wanted, helped us choose a location, helped with wardrobing and helped her with every pose! My daughter has senior portraits that are to die for! She enjoyed herself and felt relaxed because they were so fun and creative! They captured her personality in each and every photo! It is evident when you meet them that photography is their passion and it shows in their work! We will definitely book with T and K again!! Where to even start about T&K , they are absolutely amazing photographers & wonderful people! My husband and I chose T&K for our engagement and wedding day and we're so ecstatic with the results! I also had my bridal pictures done with them and seriously had a blast! They make you feel so comfortable and kendall goes out of her way to make sure every little detail is covered. They are so professional, kind, and overall great. They go above and beyond for their clients and are so easy to work with. I can only say wonderful things about my experience with these two and looking forward to working with them again in the future!! My husband and I are in awe of how beautiful the photos are from our wedding! It was so hot and humid, and Tyler and Kendall were so sweet and patient with us!! Bless Kendall, she kept making sure all the sweat was wiped off my face! They went above and beyond and every detail throughout the whole experience was perfect! The pictures are art! I can't wait to have a reason to have more pictures taken! They are the sweetest couple ever that take the most amazing and dreamy photos I've ever seen! My engagement photos were beautiful and more than I could've ever dreamed of! They made the photo sessions so comfortable like we had known each other! Highly recommend them and will be using them again in the future!! Both Tyler and Kendall were so friendly and fun at our wedding. They kept us on schedule and kept our wants and needs first. They also did our engagement session. Loved the photos from both!!! I absolutely love T&K Photography. My recent maternity pictures could not have went any better. The location and the overall experience were great. Tyler and Kendall really went above and beyond to make me and my baby bump feel comfortable. Their creativity and excitement made the overall experience well worth it. I can't wait for another session with them. My husband and I found Tyler and Kendall through a friend, and although they were fairly new to wedding photography we knew that they were a perfect fit. From day one we instantly connected and our thoughts were always heard and appreciated. I loved having two photographers who complemented each other so well. Our family, engagement, rehearsal, and wedding pictures are the most breathtaking photographs I have ever had taken, and I will cherish them forever. Whether you are wanting family, individual, couple, or wedding photographs taken these two are the real deal. They are local, honest, creative, and an absolute blast to be around! We are so happy to call Tyler and Kendall our friends and to have had them both be a part of our special day. We will definitely be using them in the future! LOVED working with Kendall and Tyler! We had so much fun at our engagement session. They guided us through the entire shoot and were so knowledgeable and professional. Simply amazing!! We could not have asked for better photographers! They are full of wonderful ideas and captured our family perfectly! They are quick to respond, and we received our pictures back quickly. We look forward to working with T&K many more times in the future!! AMAZING! Such a fun couple to work with and they make you feel so comfortable! My fiancé doesn't like getting his picture taken but after our engagement shoot all he could talk about was how much fun it was! We had a great time meeting and shooting with Tyler and Kendall! I'm pretty sure my 5 year old son fell in love with Kendall! So grateful for the best anniversary photographs we ever had! Not only the scenery was perfect, but also the photographers were courteous and professional. Thank you for creating our moments. I'm so glad that I chose T&K Photography! They made me feel so comfortable during the shoot, which is rare because I'm normally super awkward in front of the camera. Plus, they are just overall the sweetest! If you're looking to get pictures done, definitely pick T&K! They're absolutely amazing! I never thought a senior session could be so much fun! I feel like Tyler and Kendal treated me and my mom like friends not just clients! I haven't even gotten any pictures back yet but I know they're gonna be beautiful! T&K were more wonderful than I even imagined! I had a session with Tyler and Kendall back in July. They are seriously SO amazing and I'm so glad I choose them to do my senior pictures. I cannot brag on them enough they seriously did the most amazing job and they are so kind!! I highly recommend booking a session with them to anyone! T&K took my senior pictures and I could not be more pleased! They made my session so fun and easy! Such a great experience!!! They made us feel comfortable and it was such a fun shoot! Our pictures came out great and we will use them again in the future!!!! T&K did a photo shoot for my sister and I. We wanted to give the photos to our mother as a gift...we hadn't had professional pictures done in years. Needless to say she was overjoyed and will always cherish these photos. We can never thank Tyler and Kendall enough for our perfect session and making our mom so happy! They're the perfect duo! I highly recommend them for any photography needs! Tyler and Kendall did a great job with my daughter Sarah's senior photo shoot! 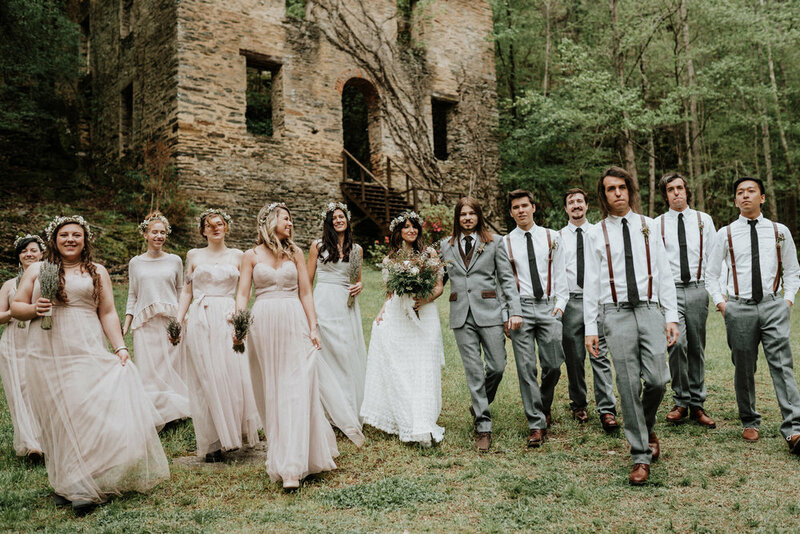 We loved the Melton Hill location at sunrise and the whole vibe and style of the pictures. I definitely recommend them! Tyler and Kendall were amazing with my 18 month old daughter. They caught her personality beautifully. They didn't try to pose her, just let her be herself and the pics are awesome! T & K captured my prom night and I was so pleased with everything! They are so much fun to work with and do an excellent job. I recommend the couple for your photography session and I will definitely choose them again in the future! My little guy was a handful and Kendall literally ran with him and played. I'm pretty sure she was as tired as he was. Tyler got some amazing pictures! They will definitely be seeing us again! I was very nervous about taking family photos with our twenty month old twins, but Tyler and Kendall took the stress out of getting our family photographed, from our first contact all the way through picking up our photos. I was also very impressed with the quick turnaround! Kendall was wonderful with our children and thanks to her, we got a lot of photos where they're actually looking at the camera! We will certainly be calling T&K for our future family pictures. Thanks again. My fiancé and I are very awkward when it comes to taking pictures, so we were nervous to get them done. Tyler and Kendall made it very easy and so much fun! Kendall did great with helping us feel comfortable and pose for each picture. We loved how they turned out and would definitely do a session with them again! I have nothing but AMAZING things to say about T&K. They have made our experience so lovely and memorable. They made it so easy for my fiancé and I. At the session they guided us every step of the way and gave us suggested poses we could copy or whatever felt right for us as a couple. I will suggest them to anyone and will continue to use them for any important day! Love love them! I couldn't say enough great things about Tyler & Kendall! They make you feel so comfortable and relaxed while having to take tons of pictures and they are so passionate about what they do! We were told & even showed every single pose to make. They were so patient with us too because we brought our playful dog along! I highly recommend them and will be using them again in the future! Amazing photos! They were very patient working with my 2 year old! My husband and I highly recommend T&K Photography! We first used them for our pregnancy announcement pictures and were very impressed, so it was no question that we would use them again when it came time for our maternity pictures. They work great as a team and make you feel so comfortable in front of the camera. They strive to capture the exact look you are hoping for and the pictures always turn out better than we could imagine. Lots of compliments from our friends and family! They are very quick to respond to any questions we have and the turn around time of the pictures is fast, both of which is very important to us. We look forward to using them again in the future! I have had the pleasure of working with Kendall & Tyler several times over the past few months! They truly give their all to every client, every project, no matter how big or how small! They are a true joy to work with! Not to mention their work is INCREDIBLE!! You will not be disappointed with this dynamic duo! My fiancé and I absolutely love Tyler and Kendall, not just their work, but who they are as people. They made our engagement shoot so easy even though we were so nervous and it feels like we're hanging out with our close friends. We can't wait for them to shoot our big day!! Thank you T&K for being amazing photographers and amazing people! We love you!!! We did a wedding destination shoot and loved it . Kendall set up my hair and makeup which was so helpful . We spent a majority of the day together and it was like spending time with old friends. My husband and I have very different styles and they perfectly captured both . They took the time before the shoot to go over what we were looking for and made sure throughout the shoot that they were capturing everything we wanted. Wonderful couple and amazing talent! Tyler and Kendall are awesome! Not only are they awesome at what they do, but they are awesome people! From the very first meeting, I knew I had made the right decision in asking them to photograph our wedding. They are so sweet, friendly, and pleasant- they have a way of making you feel as if you've known them your whole life! It's no question Tyler and Kendall give their all to their clients in making sure to perfectly capture every special moment. My husband and I couldn't be happier with our decision of trusting T&K to capture our most special day! Our family has had two sessions with T&K so far and hopefully many more to come! They are super sweet! Kendall is so good with our twin girls and I'm pretty sure she will do anything to make them laugh! Tyler makes sure he gets those great shots Kendall is working so hard for!The pictures always turn out AMAZING! And we get them super fast! Hands down best experience we have had with photographers! They are so fun but still professional. Kendall is the best with wardrobe and any questions you have about the style of the shoot. She's amazing. 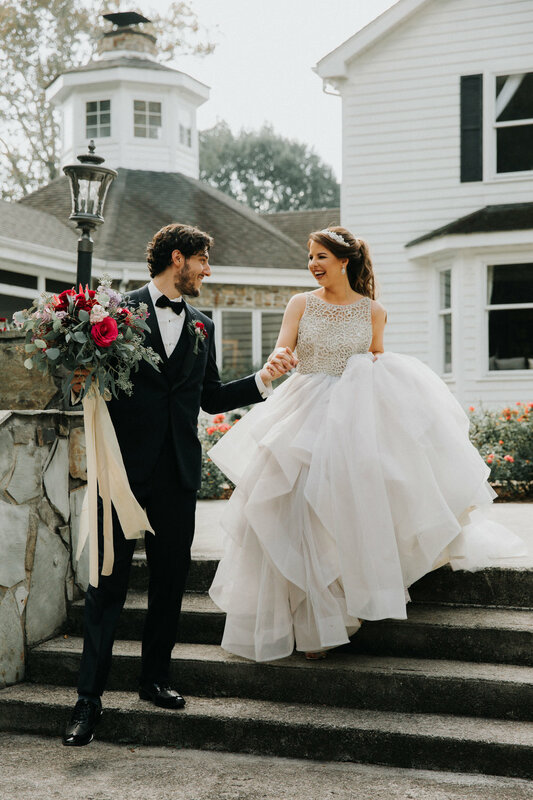 They had the photos to us within a week of our shoot and they were stunning! Looking at them the first time brought tears to my eyes. We loved T&K!! I can't thank them enough for photos we will cherish forever! Tyler and Kendall are wonderful to work with! Our wedding photos are absolutely gorgeous. T&K really made sure they knew exactly what we were wanting out of wedding photography and they absolutely delivered!!!! Will definitely be calling them again for future photography! I had a maternity shoot with them. I was 34 weeks pregnant so moving around and such was hard and I got tired but they dealt with it all with no complaints. This was my first shoot with them and I honestly can't wait for them to shoot newborn pictures, my engagement photos, and wedding and so much more. To top off all the planning for the maternity shoot my boyfriend had contacted them and told them he wanted to propose at the end and wanted them to catch the moment. It was the best surprise ever and so glad they helped him with it. I would recommend them to anyone! They are so easy to work with and so much fun. Thanks to them I have the best maternity photos and beautiful pictures of Taylor proposing to me. Love them so much! Thank you guys for doing such an amazing job for us last night. I am continually impressed. Every time you two take photos for us they just seem to get better and better. I believe this may be your true calling. I know can say that we have photographers for every occasion and will recommend you to all I know. You guys ROCK. I had a session done with T&K with my now 4 year old son who is extremely stubborn when it comes to getting his picture made and I have never been SO happy with pictures as I was with the ones we had done with them. They are so great with children and our pictures turned out better than I could have ever imagined! I'm so so happy with the result and will never use anyone else!! Thank you guys so much!!!! T&K are amazing to work with! They kept our session laid back and fun! I couldn't have asked for a better photographer! We got the pictures so quickly and were very satisfied with the quality of each photo. I would highly recommend!!! We did a Christmas mini session with T&K. We have a 9 month old with 4 teeth coming in at once and they made capturing our family's moments about as painless as it could get under our unavoidable circumstance! Keelan wasn't near as smiley as he usually is and they still managed to get some great pictures that will one day become so precious to our family to be able to share these moments with our son later in life! Highly recommend to anyone needing pictures taken! My fiancé & I had a wonderful experience at our maternity session! Our pictures turned out way better than I could have imagined so we will definitely be scheduling more sessions! It's the best experience I've had with a photographer, they make you feel very comfortable and know exactly how to help you with posing even when you're horrible at it! smile emoticon I definitely recommend this couple to do your next photography session. T&K Photography did such a great job with our anniversary pictures! They made us feel comfortable during the shoot and they were so easy to work with! They were also very afforable! We got way more pictures back than I expected, and had them back in about a week! We will definitely use them again! T&K Photography did an amazing job on our family pictures! They were both so fun and professional to work with!! We would highly recommend them and look forward to using them again in the future! My boyfriend and I were completely new to having professional pictures done. Needless to say we had NO clue how to pose and what not. Tyler and Kendall gave us great direction and really made the whole experience fun!!! I highly recommend them! T&K were great! Worked hard with my family to get some wonderful shots! I will cherish the photos. Highly recommend! Tyler and Kendall did an amazing job with mine and my daughter's Christmas pictures! They work so well together and it was alot of fun! I am very pleased with how the pictures turned out. I will definitely being working with them again and I highly recommend them! Tyler & Kendall took the GREATEST photos of my son! He loves them both (especially Kendall). By far, the absolute best photographers around. I will definitely be using them for future shoots. Always! Absolutely beautiful pictures and they are a blast to hang out with while doing your session! They know how to make the awkward laughs a little less awkward and the whole thing a lot more fun. My senior pictures turned out incredible! Highly recommend it!! The pics are great and me and my husband were so comfortable taking our beautiful pictures! Tyler and Kendall are the absolute best photographers! They are very professional and prepared. They took a lot of great pictures with a gone of different poses and were very patient with every diva at my sisters wedding. I would definitely recommend 100%.